For a long time we have been thinking about how to make it affordable and convenient for our patients to get replacement retainers. This way, if patients lose or break their retainers, they could get a replacement right away, before their teeth shift. This would also make it a no-brainer for our teenage patients to tell their parents as soon as they lose or break a retainer. The good news is that scanning technology and 3-D printing have made that possible. We now scan our patients’ teeth and produce a resin model that can be used over and over again to make retainers. When you finish treatment, you get to take your resin models home. If you lose or break your retainer, simply drop off your models at the front desk (no appointment needed) and come pick up translucent retainers within 72 hours (no appointment needed). It’s convenient, fast and easy! You can get as many retainers as needed for the first 5 years after completing your orthodontic treatment. No questions asked. After 5 years, you have the option to renew the retainer warranty. One common reason patients stop wearing their retainer is because they no longer have it – it was lost, broken or chewed up by their pet (dogs think retainers are yummy chewy toys!). 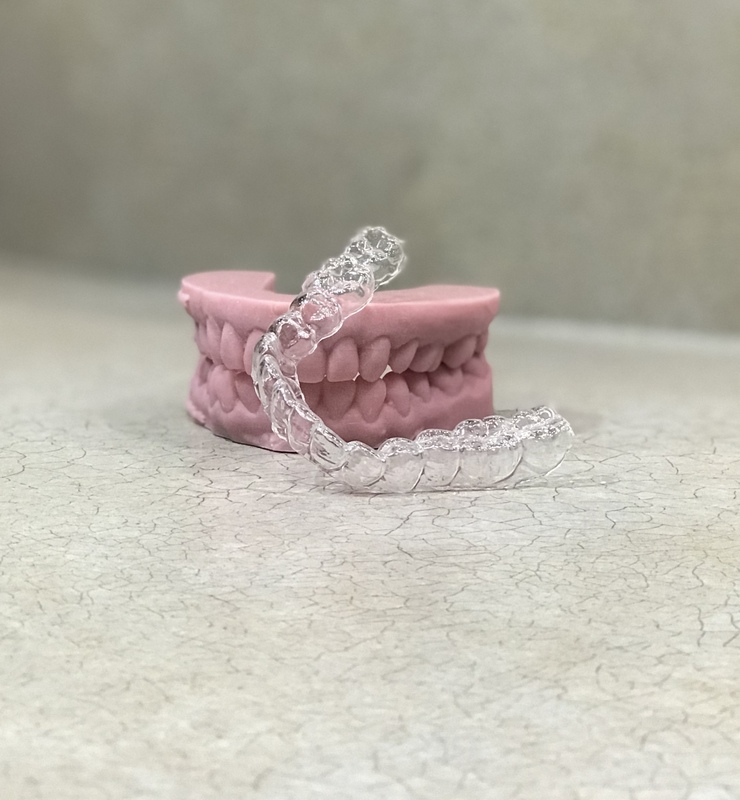 The most common way to lose a retainer is when a patient wraps it in a napkin at a restaurant or school cafeteria, and it ends up in the trashcan. I am sure most of you know someone who has been in this situation, which usually results in dumpster diving. Some lucky winners will actually find it, but still, it’s not an ideal situation. However it happened, once lost, the retainer is now gone, and many patients find themselves in a tough spot. These patients can be adults–adult patients or parents of a patient—who did not plan on having the expense of a new retainer. It’s similar to when your car is in sudden need of a repair that you had not budgeted for. Or these patients can be the child or teenager who has been told by the parent “You’d better wear your retainer” because the family has just invested a lot of money in their orthodontic treatment. Naturally, that child or teen is dreading telling the parent. In any case, patients tend to wait too long to get a new retainer, often long enough for teeth to shift. What I end up seeing at my office are patients who, after a couple years of orthodontic treatment, significant financial investment, hard work and a beautiful result, come back with crooked teeth. It is just heart breaking. That’s why we are so excited to offer our patients this option to help them keep their beautiful smile for a lifetime.